Keith Middlebrook First to announce Kobe Bryant will Return to the Lakers. Keith Middlebrook the Real Iron Man, Full Throttle Training. Large and imposing at 6’4″ and 315 pounds. Marion Hugh Knight was born on April 19th, 1965 in Compton L.A., California by his father, Marion and mother, Maxine. His name, Suge, derives from “Sugar Bear”, a childhood nickname given by his father because of his sweet, good-natured temperament. Suge was only ten years young when Compton L.A. was desolated by two parallel pandemics, the loss of it’s manufacturing plant bringing despair and unemployment into the community and the scourge of two of the most murderous gangs in American history, the Bloods and Crips. Suge’s parents had always encouraged him to capitalize on his size and talent for football as a means to rise above the poverty-stricken neighborhood of Lynnwood, in the gang ridden city of Compton. He attended Lynwood High School in nearby Lynwood, California. At six feet, two inches tall he was a talented athlete. 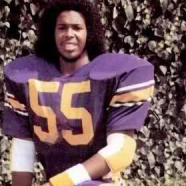 He earned letters in both football and track all four years at Lynwood High School eventually achieving a football scholarship from El Camino Community College after graduation in 1983. Attending El Camino College from1983-1985 he caught the eye of a recruiter from the University of Nevada, Las Vegas. In 1985, he transferred to the University of Nevada, Las Vegas on a UNLV Scholarship wearing number 54 and was starting as a defensive end and played there for two years and Lettered both seasons. He was a powerful build, listed on the program at 260 pounds. Under the guidance of Head Coach Wayne Nunnely, Knight made the dean’s list, and in 1985 was voted UNLV’s Rookie of the Year, elected defensive captain and won first-team all-conference honours. Ironically during college, while team-mates committed armed robberies, carjacking and sexual assaults. Knight earned honest money as a bouncer for the Cotton Club. After college, Knight was recruited by the Los Angeles Rams where he played for one year and also in the exhibition game in Japan against the Dallas Cowboys. 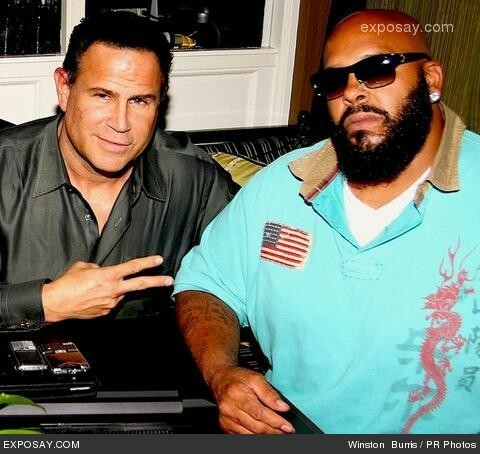 Later, he found work as a concert promoter and a bodyguard for celebrities including Bobby Brown. And the rest became legendary history…….but this is another story. After this dinner in Beverly Hills he took me straight to a friend of mine I hadn’t seen in awhile, who I originally met in LA then Miami 7 years earlier, his name is Scott Storch. This is another story………………….more to come………Keith Middlebrook. 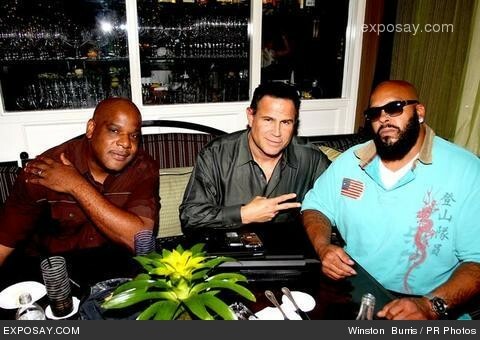 Brad Eaddy, Keith Middlebrook and Suge Knight at the Four Seasons Hotel in Beverly Hills CA. 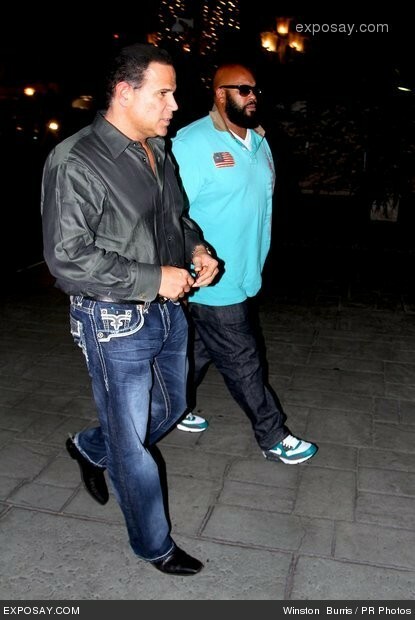 Reintroduced on the phone after 7 years by Jewler “King of Bling” Sami Antar and brought directly to Suge by European Quarterback Brad Eaddy.